The inventor of synthetic turf, AstroTurf® is one of the most iconic brands in American sports — as legendary as the athletes who’ve battled on it – and is once again the leading innovator in synthetic turf. 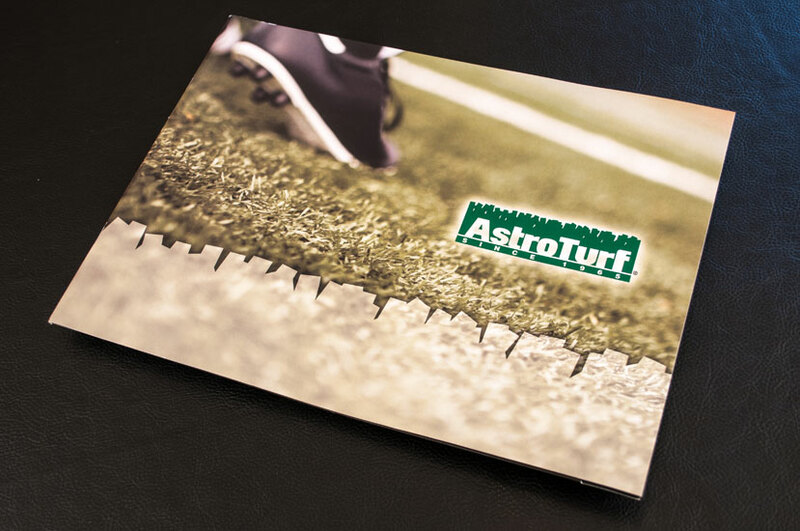 Today, AstroTurf products benefit from proprietary innovations in manufacturing, extrusion, installation, and recycling that are outpacing industry trends. Guided by the philosophy of “More Fiber, Less Fill™,” AstroTurf is producing superior products that perform more like natural grass and bringing new advances to market faster than the competition. 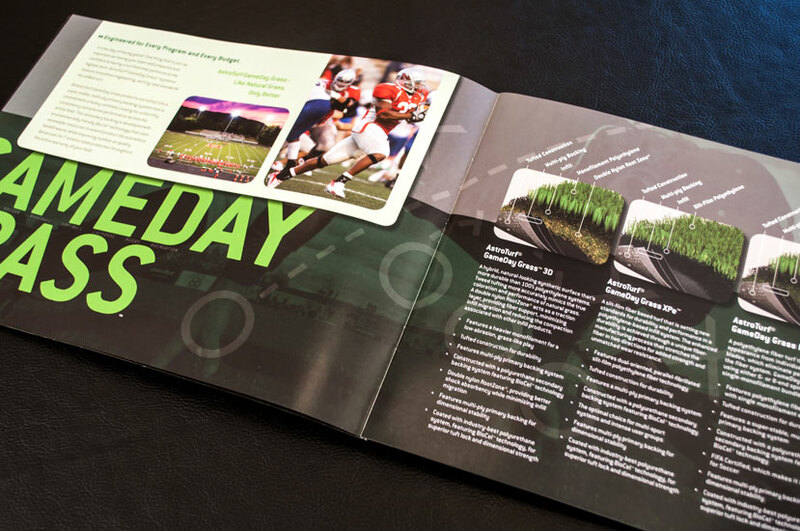 This Brochure highlights the various styles of turf available for different types of sport filed ranging from lacrosse, to football, to soccer, and details some of the technical and design developments and advancements the company offers with its current offerings. This brochure provides a sharp, focused, and to-the-point feel that compliments the voice of the brand and amplifies the most accessible selling points of the product line.